From here, so not plagiarized. Plagiarism. It's not just for authors and politicians. Scientists do it too. In the last three years alone, Retraction Watch has reported that over 160 scientific papers were retracted because of plagiarism. 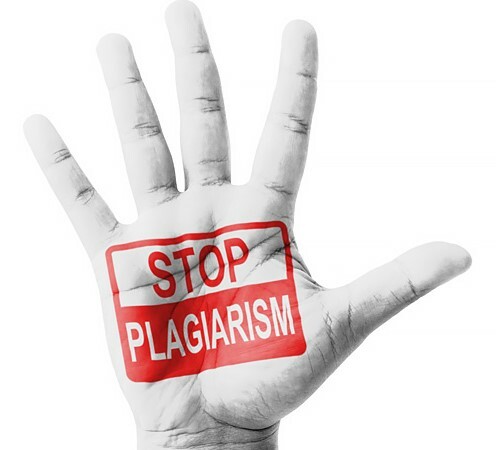 In fact plagiarism has become so pervasive in academia (and the need to report it has become so important) that a recent paper paper in Ethics & Behavior outlines advice for academics considering becoming plagiarism whisleblowers. Inaccurate citation is a relatively lightweight problem, but it's a problem nevertheless. The English language Schottenstein Talmud, published by ArtScroll, chose a censored text of the Talmud as the basis for its translation project. (Full disclosure: I enjoy the Schottenstein Talmud, and study from it each day, God, bless it). As I've pointed out elsewhere, this was a sad choice, and a missed opportunity to return the text to its more pristine (and more challenging) state. To be clear: ArtScroll did not plagiarize anything, but they should have done a better job of quoting the text accurately. After all, isn't that what Rabbi Yochanan taught us to do? Had they done so, the lips of the great sage Rav, whose teachings were improperly amended by the censor, would again "move in his grave" - as we will learn below. Sometimes another author says it just right, and uses language in so perfect a way that others will want to claim it as their own. One example of this is found in the 500 year long debate over whether Jews could believe in the Copernican model of the solar system in which the sun was stationary. In the late nineteenth century Reuven Landau (c. 1800-1883) adopted a hard-core conservative position against this model. He found it to be existentially threatening, and argued that because humanity was the center of the spiritual universe, it must live in the very center of the physical one. But rather than outline his claims in his own words, he stole from the very widely read Sefer Haberit, an encyclopedic work that had been published some one hundred years earlier. Here is an excerpt from Landau's text, in which he raises what he believes to be scientific objections to the Copernican model. The bold text shows where the text is identical to Sefer Haberit, first published in 1798. Oppenheimer (1753-1851 -and definitely not this Oppenheim(er)) objected to the claim that the earth revolved around the sun, and in 1789 in Prague he published Amud Hashachar in which he detailed his opposition. But rather than use his own words, he stole, word for word, the descriptions of the solar system from the pro-Copernican Reshit Limmudim, carefully leaving out the bits that supported Copernicus. In a move that pushes hutzpah to a new level, Oppenheimer even published a moving poem as if it had been written to him. However, the poem was a dedication to the real author Linda - from Naphtali Herz Wessely. Oy. Had enough of Rabbi Oppenheimer? There’s more. When it came to plagiarism, this Rabbi Oppenheimer was a repeat offender, (enough perhaps to earn a special mention in a Jewish Retraction Watch). Because in 1831 he published Nezer Hakodesh, a book on religious ethics (I'll say that again in case you missed it - it's a book on religious ethics)...which he plagiarized from the 1556 work Ma'alot Hamidot ! Here's a random example so you can see the scale of the plagiarism. Our last example of plagiarism and citation misuse is again from the ArtScroll publishers, though this time it’s a little more serious than their using a censored manuscript of the Tamud. This time Artscroll is itself the censor. Rabbi Yochanan said in the name of Rabbi Shimon bar Yochai: The lips of a [deceased] scholar move in the grave when their teachings are said in their name.